We put our expertise to work for you right from the planning phase. We help you take the measurements needed on site to ensure that our offer is completely accurate, so that when you place your order, it can be swiftly implemented. We only recommend courses of action that we can actually deliver. As specialists and key players, our employees both advise and assume responsibility – thus providing technical and organisational support from one source. Our in-house design team prepares clear wiring diagrams that are specific to each system, including pop-up functions for the symbols – so that you can quickly follow what you’re looking at. We’re there whenever you need us. We can help with commissioning at the construction site or training your professional staff – and we also provide phone support. RST Elektronik GmbH is a family owned business that was founded in 1987. As an medium-sized company, we like to build long term relationships with our customers and suppliers. These partnerships, based on trust and long acquaintance, are key to the continued development of our company. We strive to achieve qualitative growth by means of a continuous improvement process across all process chains and roles and through constant self-appraisal, while tapping into new markets and diversifying our range of products and services. At RST Elektronik, every single one of us works with passion and is motivated and determined to help you to achieve your success. Our flat hierarchies, short decision making paths and effective internal organisation also give us the courage needed to strike out in unconventional directions. We have high expectations of our work and measure our achievements by your success. 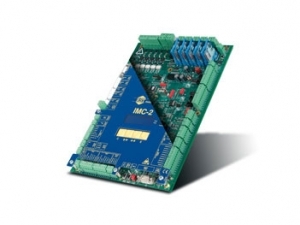 IMC-2 – the elevator control system with intuitive operation and maximum flexibility. 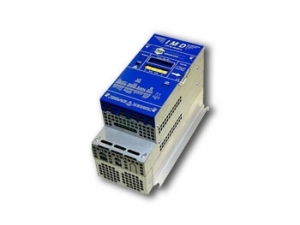 Frequency converters for a broad range of requirements. Made in Germany. Made by RST Elektronik. 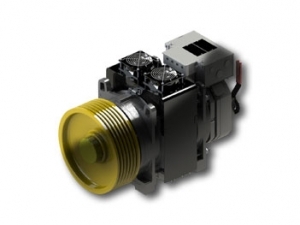 Everything from one source – to round off your package of requirements, we have included a high quality motor unit from our partners. Your elevator system at a glance. Via the internet, any time, anywhere. Analyse and monitor everything digitally and online with the IMC elevator controller. 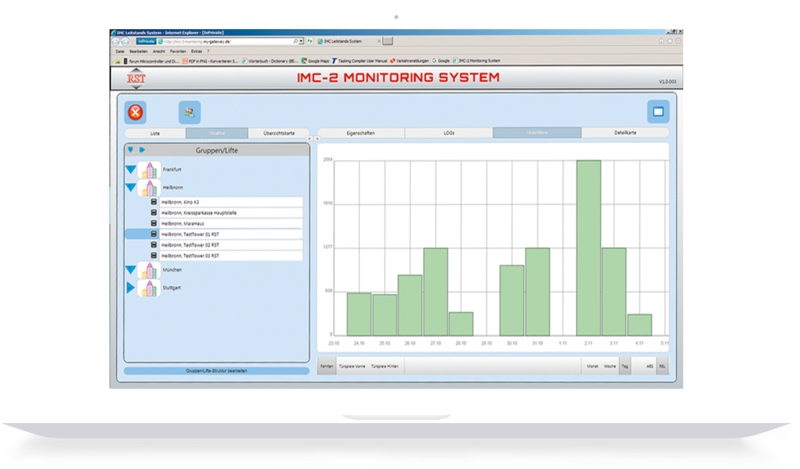 The IMC-2 monitoring system from RST provides all of the information relevant to your elevator system, reliably and clearly – such as door cycles, travel operations and capacity utilization. It displays error messages and collects background data that can be used to predict faults. Our components are perfectly matched. Our in-house developments guarantee continuous further enhancements and allow us to adapt to customer requirements. Having been in the business for more than 30 years, our team not only has the experience needed to advise you, but also plenty of passion and motivation. You can trust in our innovative products and commitment to a high level of service.